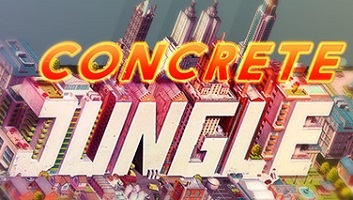 Concrete Jungle is a very unique game which combines elements of deck building card games, board games and city building sims that wraps them all up in a puzzle game. It is an unlikely marriage of concepts that somehow manages to work quite well, as is evidenced by the game's very positive review rating by the Steam community. The game is currently available for only the Windows platform on Steam, but conversions are planned for mobile platforms, which the game should be well suited for. In Concrete Jungle the player is presented with a list of building options along the left side of the screen. The buildings have different properties which can effect the tiles around them. The object is to achieve the target score value listed at the top of each row of the grid, in order to clear that row and move on to the next in a style similar to Tetris. The available buildings are randomly drawn from a deck which can be effected by events in the game, borrowing mechanics from deck building games. While the concept may seem simple, the game involves some serious strategic depth, requiring the player to sometimes think several moves ahead. Concrete Jungle is one of those indie games that comes along once in a while and impresses us with its sheer originality. You can't point at the game and say "it is similar to game x", but rather have to attribute it being partially influenced by several other titles and emerging as a completely new creation. The decent and sometimes funny narrated tutorial will give you the relatively simple basics of the games mechanics but it will take some practice to learn to apply them to winning the game, especially at higher levels. The game is not easy but success is rewarding because of the amount of strategy it takes to be successful. 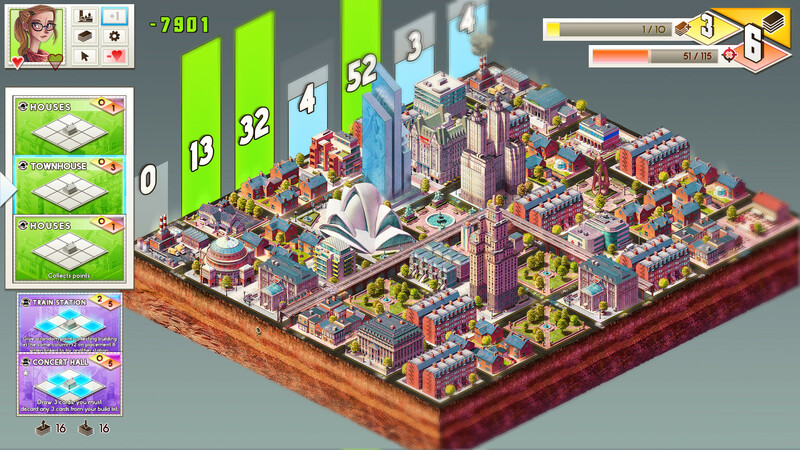 Concrete Jungle is complimented by some really nice detailed graphic work and animations that help keep the player engaged in the city that they are building. Take a look at the amusing game trailer and other video below for more information.